Congratulations to Soufyan Jerhaoui who successfully defended his PhD on “Sulfoxides : new strategy for the asymmetric C(sp3)-H activation”. Congratulations to Joanna Wencel-Delord for the Marc Julia Prize of the DCO. This prize has been awarded in recognition of the quality of the recent papers published by Joanna in the fields of asymmetric C-H activation and axial chirality. 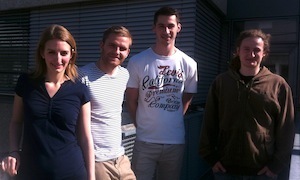 We are happy to welcome three Msc students (M2): Thibaud Brégent, Isabel Delso and Nicolas Jacob. Good luck for your research projects! 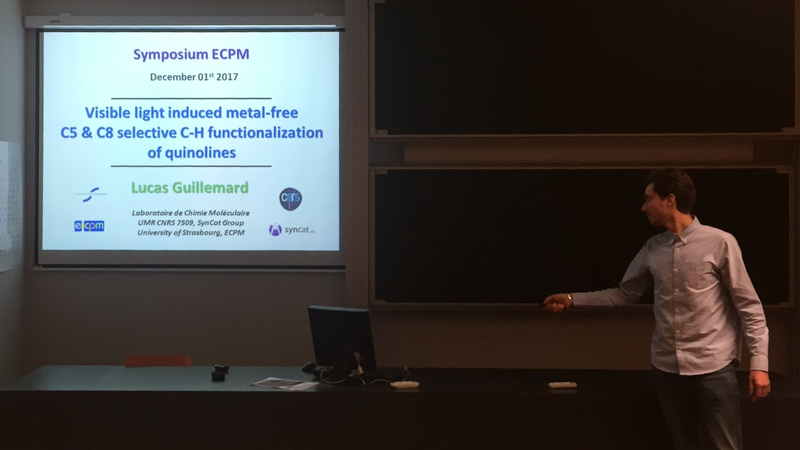 Lucas Guillemard and Soufyan Jerhaoui presented their work at a symposium organized at the ECPM, together with Prof. André Charette, Prof. Olivier Baudoin, Dr Joseph Moran and Prof. Frédéric Patureau as plenary speakers. 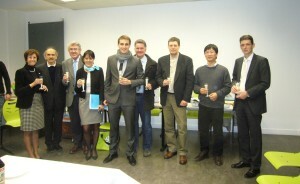 Congratulations to Quentin Dherbassy who successfully defended his PhD on “Development of asymmetric C-H functionalization reactions”. 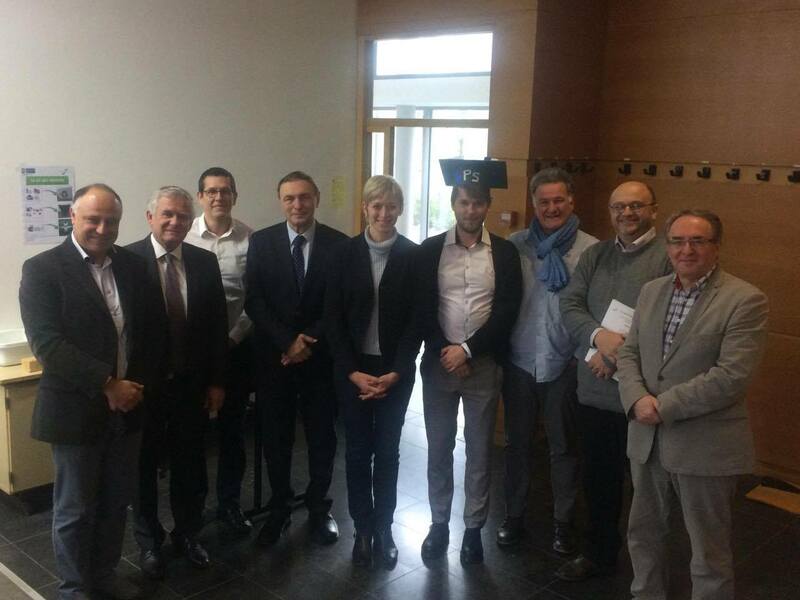 Congratulations to Peter Šramel who successfully defended his PhD on “Synthesis and biological screening of the tyrosine kinase inhibitors, eg KDR”. 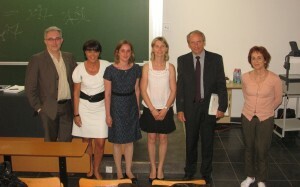 Congratulations to Lucie Schiavo who successfully defended her PhD on “Accès à de nouvelles plateformes chirales pour la synthèse d’analogues structuraux de la salvinorine A et de terpènes bioactifs”. 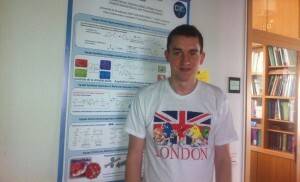 Lucas Guillemard presented his work at the 28th edition of the International Conference on Photochemistry in Strasbourg (France). 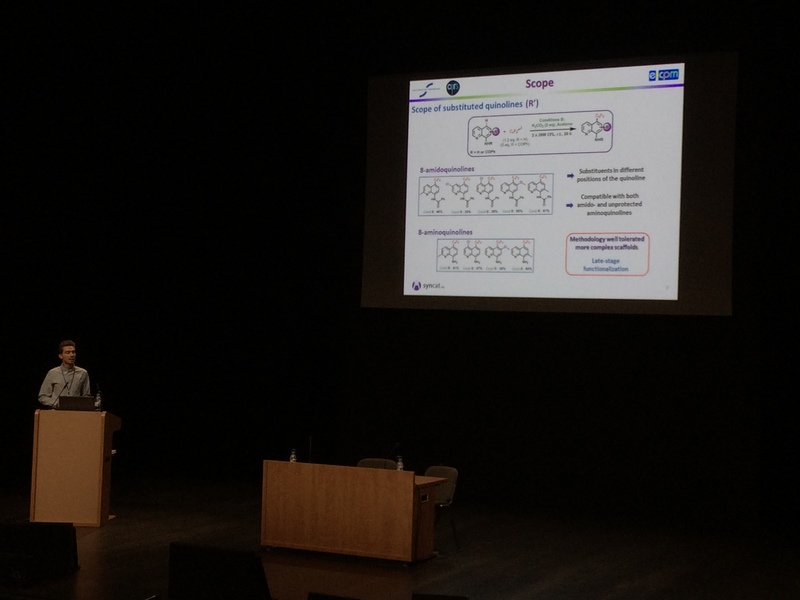 Percia Beatrice Arockiam presented her work at the International Green Catalysis Symposium in Rennes (France). 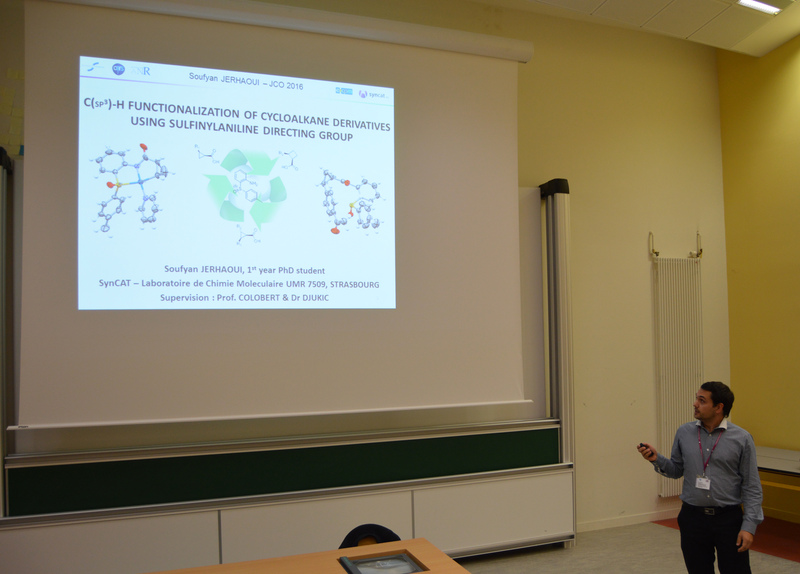 Soufyan Jerhaoui presented his work at the Journées de la Chimie Organique 2016 in Palaiseau (France). 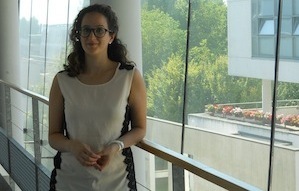 Congratulations to Antonella Bochicchio who successfully defended her PhD on “Towards the atropo-stereoselective total synthesis of myricanol”. 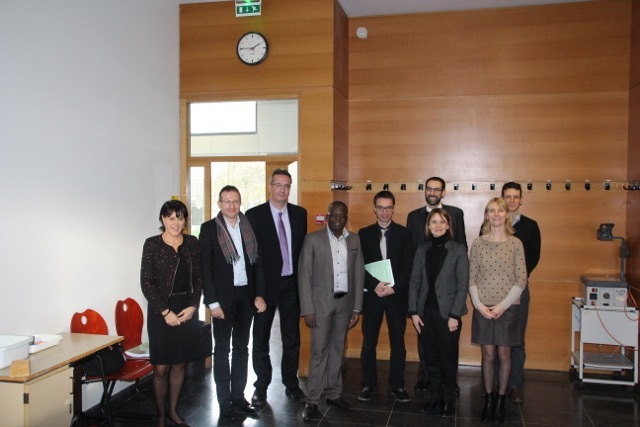 Congratulations to Boubacar Yalcouye who successfully defended his PhD on “Synthèse atropo-sélective de la partie biarylique de la (-)-steganacine via le couplage de Suzuki-Miyaura et le couplage aryne”. 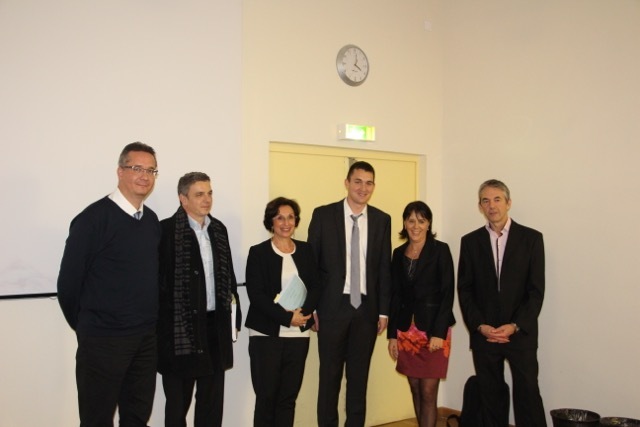 Congratulations to Bruno Commare who successfully defended his PhD on “Conception et synthèse de nouveaux agonistes de récepteurs métabotropiques du glutamate”. 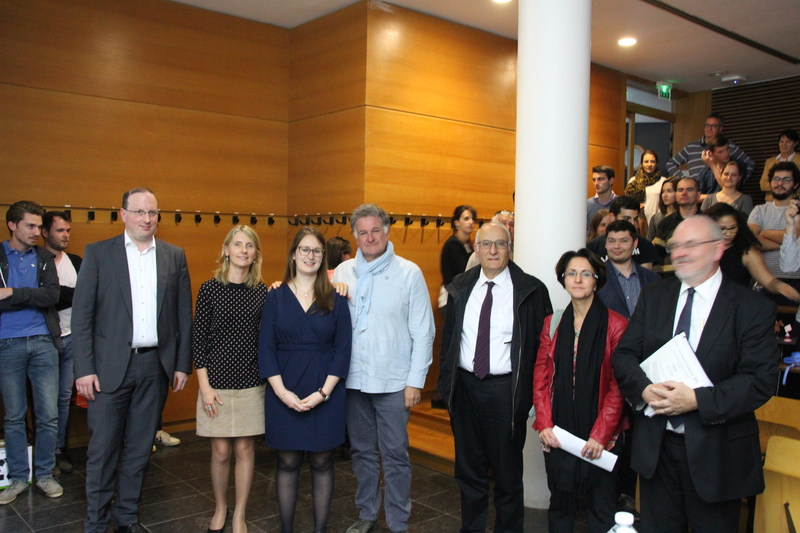 Congratulations to Anaïs Berthelot-Bréhier who successfully defended her PhD on “Nouvelles approches vers le contrôle de la chiralité axiale de biaryles via des arynes et en l’absence de métaux de transition”. 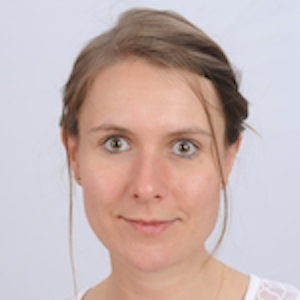 Joanna Wencel-Delord joined SynCat as a Chargé de recherche CNRS. Farah Oulaidi-Lamiable joined SynCat as an ATER. 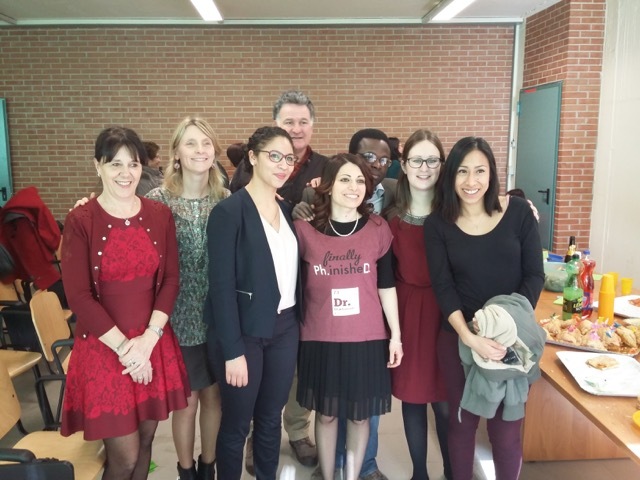 Congratulations to Bruno Commare for the price of the best poster during scientific days 2013 of the doctoral school MTCE (Médicament, Toxicologie, Chimie et Environnement) at University Paris Descartes. We are happy to welcome three MSc students (M2): Joséphine Cinqualbre, Geoffrey Schwertz, Etienne Schmitt, and one MSc student (M1): Quentin Dherbassy. Good luck for your research projets ! 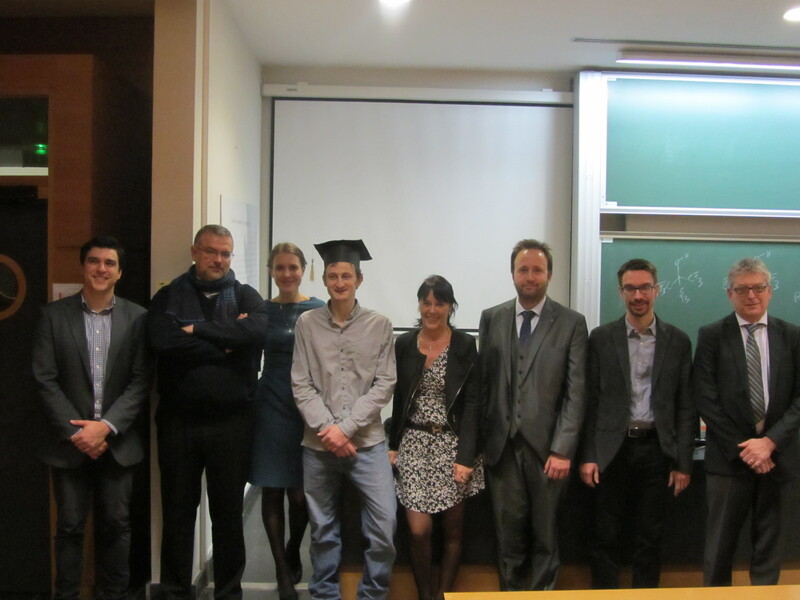 Congratulations to Nicolas Rival who successfully defended his PhD on “An approach towards the synthesis of amphidinol 3, antifungal”. 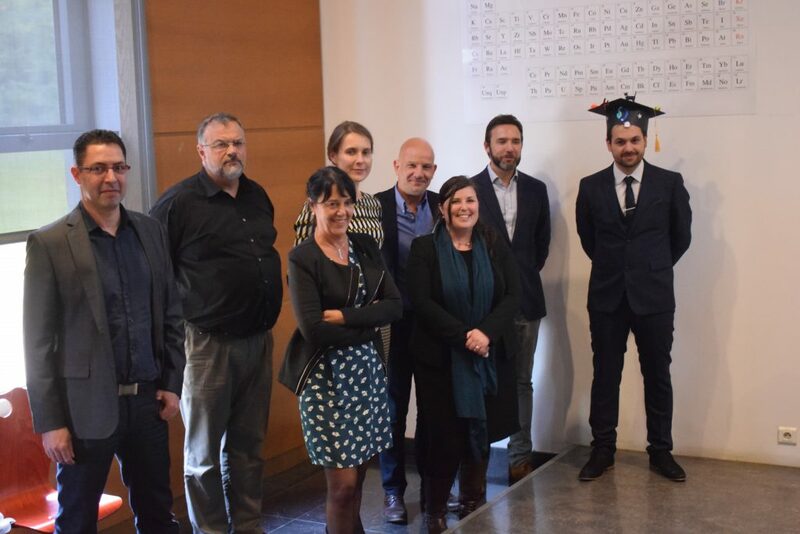 Congratulations to Florence Giornal who successfully defended her PhD on “Novel access to heteroaromatic building blocks bearing fluorinated substituents”. 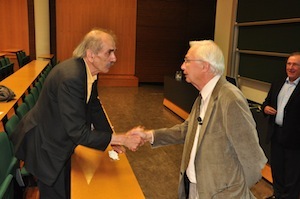 We celebrated the retirement of our colleague, Professor Daniel Uguen. 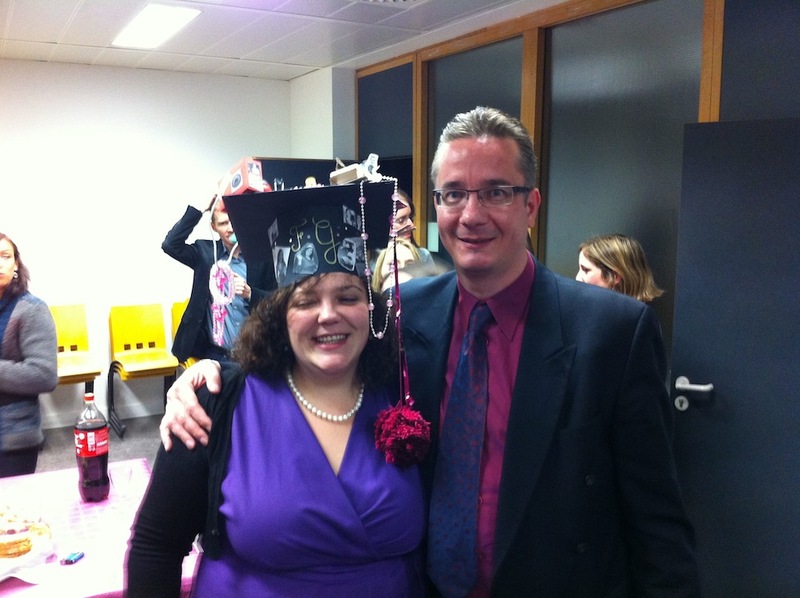 Congratulations to Marie Barbarotto who successfully defended her PhD on “Total synthesis of trienomycinol, antitumoral”. 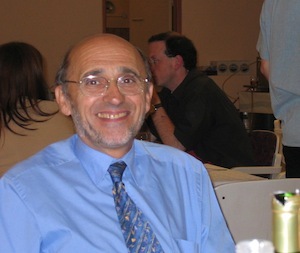 We payed tribute to our colleague, Professor Guy Solladié. 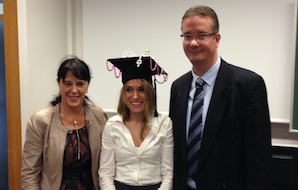 Congratulations to Mercédes Lecea Romero who successfully defended her PhD on “Stereoselective synthesis of the natural metabolite of tocopherol, (S)-g-CEHC, and mono fluorinated trisubstituted olefins”.